If you work with solid state disks, you’re probably already familiar with the various tools that your drive vendors provide for their units. 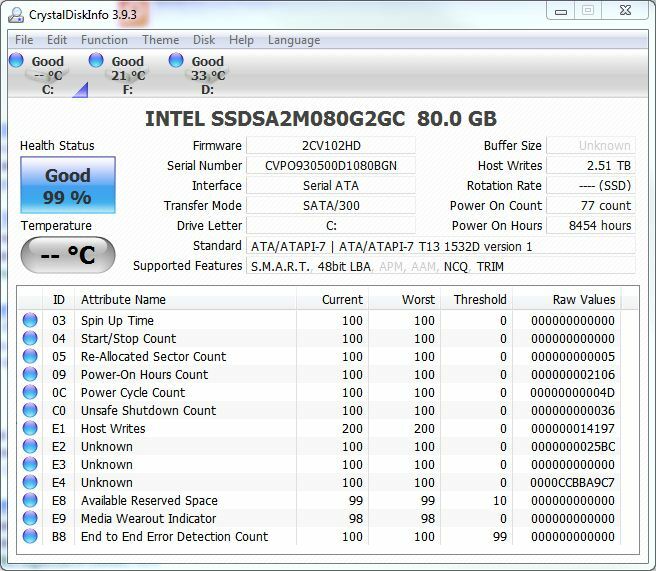 Mostly, these are tools for checking and upgrading firmware, but occasionally, you’ll also come across a great tool like the Intel SSD Toolbox as well (note: a new version of this tool — v.2.0.1.000 — was released on October 19, 2010, so if you haven’t grabbed it yet follow the link and do that right now). Supported Features: This tells you what advanced features are turned on for the drive you’re inspecting. The TRIM feature is probably the most important item to look for. TRIM provides erasure optimization for SSDs, and allows blocks of data to be flagged for erasure and re-use, and permits garbage collection to be deferred until a convenient time, while also permitting the drive to manage its free space internally and to make sure it can generally provide blank pages for writing to satisfy pending write requests — SSDs can write to occupied pages, but they must erase those pages before writing can occur, which slows writes down. Likewise SSDs write data at the block level, not the page level, so writing requires special handling especially when used in tandem with write-leveling algorithms used on SSDs to keep “wear” even across the entire disk. Other features you’re likely to see turned on for PC SSDs include: SMART (Self-Monitoring, Analysis, and Reporting Technology, a monitoring system common on most hard disks and modern storage devices, including SSDs), 48bit LBA (48-bit logical block addressing introduced to support a liner addressing scheme on hard disks introduced with ATA-6 in 2003), and NCQ (native command queueing, a technology for improving SATA hard disk performance by enabling the disk firmware to opimtize the order in which it satisfied read requests). Other features you won’t find on SSDs, but will find for conventional hard disks are APM (Advanced Power Management, used to turn down power consumption on conventional spinning drives when they’re idle, but unnecessary on SSDs) and AAM (automated acoustic management, used to keep the noise that spinning drives can emanate to a minimum, also unnecessary on SSDs, which have no moving parts). 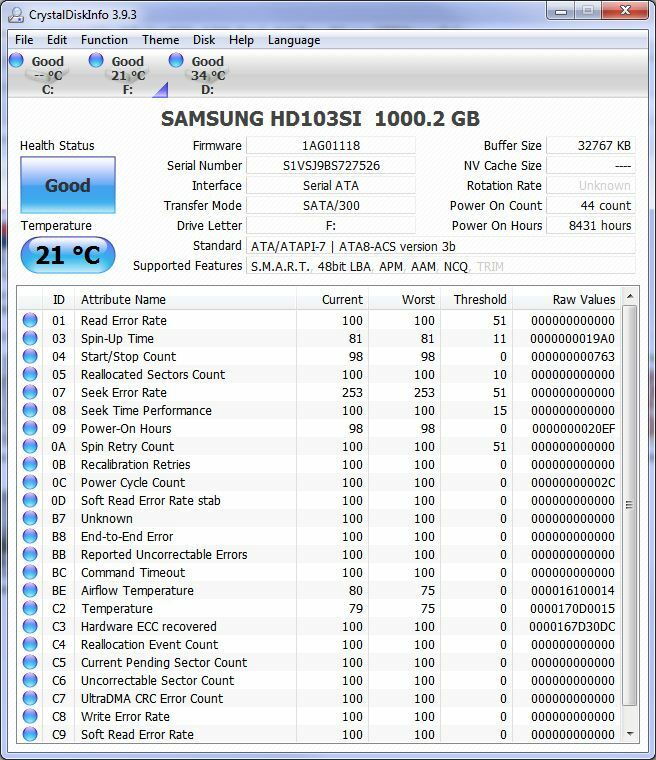 You also won’t see temperature reported for SSDs, though such information is customary on SMART hard disks. Best of all, this tool is freeware, and thus can’t strain your tools budget even one little bit. Check it out: you’re bound to like it. The same site also offers other free tools as well, and will reward the download and playtime required to learn them.